By Rail: The nearest station is Elmstead Woods (on the Orpington line). 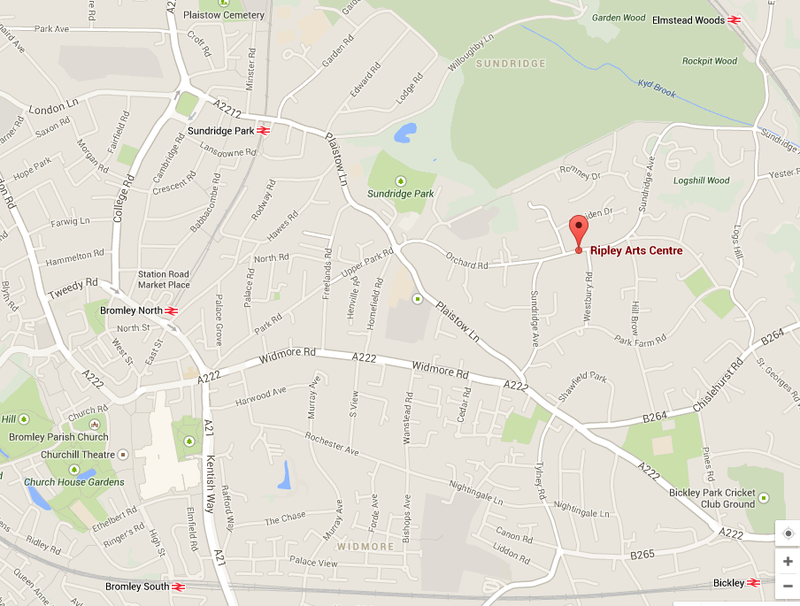 The walk from there to Ripley Arts Centre is probably at least 15 minutes, along Elmstead Lane and Sundridge Avenue. There are a few parking spaces in the grounds for those with walking difficulties (entry from the North part of Sundridge Avenue), and local street-parking (e.g. in the road opposite and in the West part of Sundridge Avenue). It was lovely to see one of your members come along to my poetry evening. Could you let me know her email address? Also where is the best place to encourage other members to come to my next reading July 13 th at Paxton Centre in Crystal Palace?